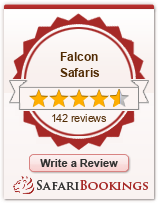 ABOUT US Falcon Safaris was created with the vision of sharing the wonders of the African continent with those who are eager to explore some of the world’s most magnificent areas…areas that combine pristine, natural beauty, incredible wildlife, cultural diversity and remote, unspoiled and untamed wilderness. VICTORIA FALLS OFFICE Falcon Safaris.com,163 Courtney Selous, Victoria Falls, Zimbabwe LIVINGSTONE OFFICE: Falcon Safaris, 512 Mosi Oa Tunya Building Old Wing, Livingstone, Zambia. OUR TEAM Our commitment to you as the discerning traveler is to not only provide the best service at the most reasonable cost, but to share with you the splendor of this truly diverse and magnificent continent. We want you to return home with a yearning to go back. You may leave Africa, but Africa will never leave you! Come and share the wonders that Africa has to offer you.